Savour the Senses | Discovering the joy in each moment of an ever-changing life. Spending time focusing on the positive, eliminating the negative, and finding inspiration through the senses. Savor the Senses now has a new home! Please head over to http://savourthesensesblog.com to check out the new blog and subscribe (note: if you are currently subscribed to Savour the Senses through Tumblr or my old WordPress.com site, please re-subscribe through my new page). Drop me a comment and tell me what you think! ATTENTION: Please view this post at Savour the Senses’ new site-http://savourthesensesblog.com– for recipe and full post. Thank you! It is interesting to me how quickly my brain can shift my food preferences throughout the day. Each day, sometimes even each hour, I feel like I am changing my mind about what would be good to eat. 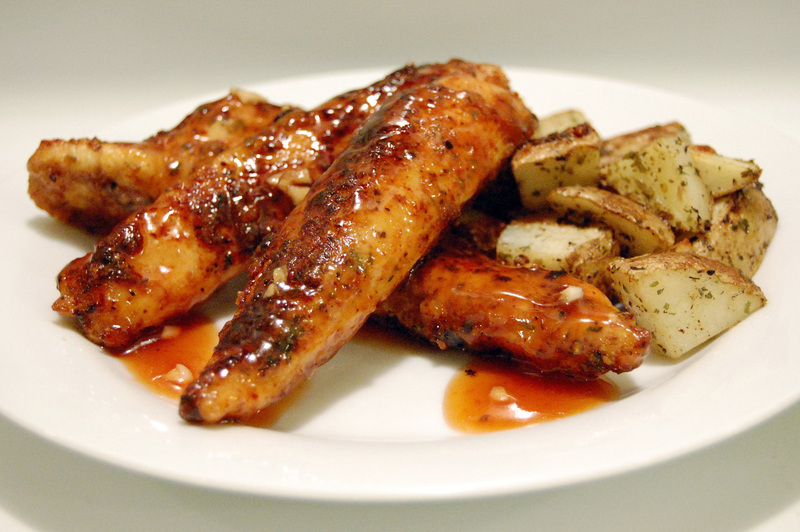 For those days when you want something sweet for dinner, a honey barbecue glaze is perfect. I think I have come up with a tasty honey barbecue glaze recipe that can easily be tweaked to suit any personal preference; I am looking forward to experimenting with it too! 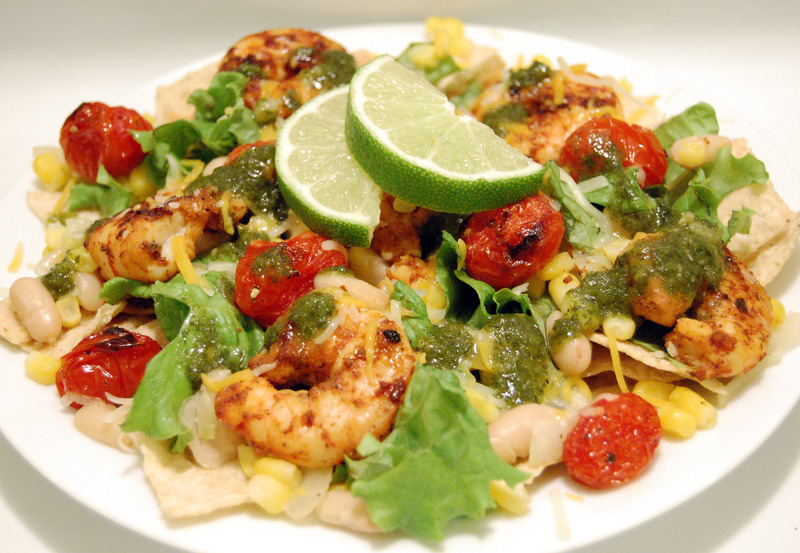 This recipe is great for weeknights, when you do not have much time for dinner. It goes great with Oven Roasted Potatoes as well! ATTENTION: Please view this post at Savour the Senses’ new site- http://savourthesensesblog.com– for recipe and full post. Thank you! As I have mentioned numerous times before, I try not to eat pasta when I am not at work. 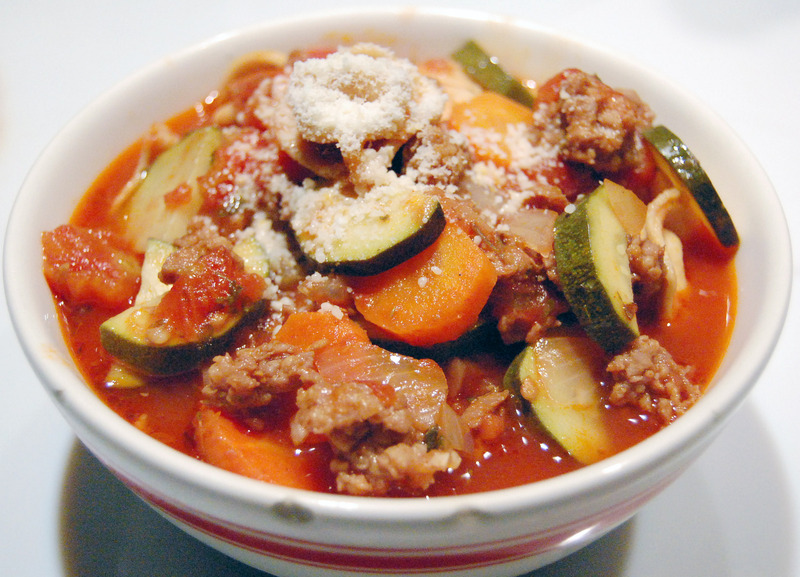 So, to serve with the Double Tomato Bruschetta, I chose this recipe for an Italian sausage soup. Yes, I know that tortellini still counts as pasta, but it is a bit fancier and this recipe doesn’t use very much of it. This soup captures the essence of true Italian flavors- basil, tomato, garlic, oregano, and red wine- and is a great alternative to the typical Italian pasta dinner. This week I was asked by friend to cook something Italian for dinner. For me, the first thing that comes to mind when I think of Italian food is pasta. I decided against making pasta, since I eat it at work constantly. Instead, I chose to make this double tomato bruschetta along with an Italian Sausage and Tortellini Soup. 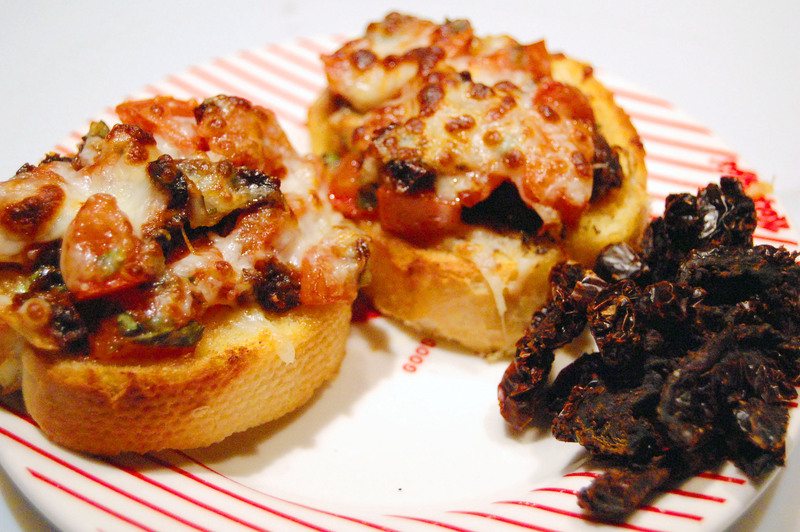 Bruschetta is easy to make, and is a great appetizer for guests. The addition of sun-dried tomatoes to the bruschetta gives it a different texture and a little bit of a kick. These little snacks were very popular. I love reading food blogs; I find myself constantly reading through recipes during my free time. I think that is great to find recipes from other people, rather than a recipe website, because it gives life to the recipe and usually puts a story with each dish. 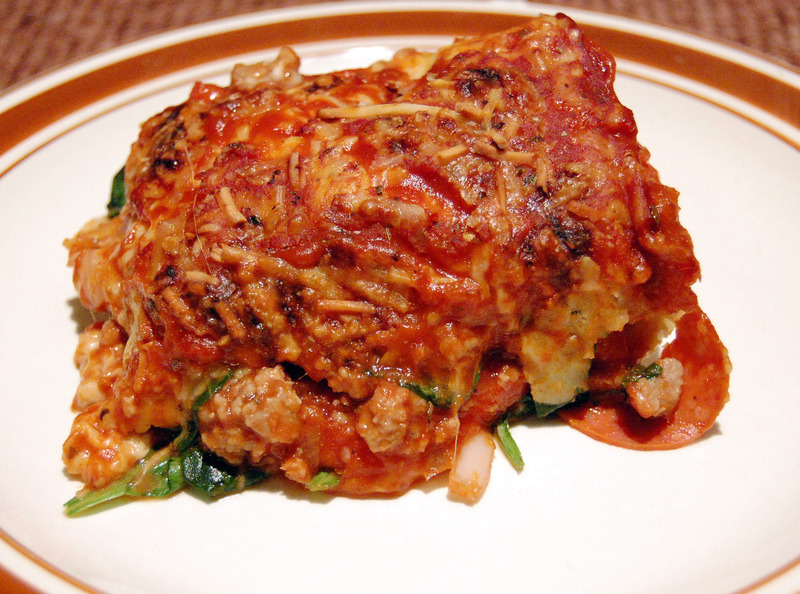 I especially love trying recipes from my Mom’s food blog, Cooking With Michele. It is fun to chat about our posts and new recipes; our cooking has brought us much closer throughout the past year and I love it. 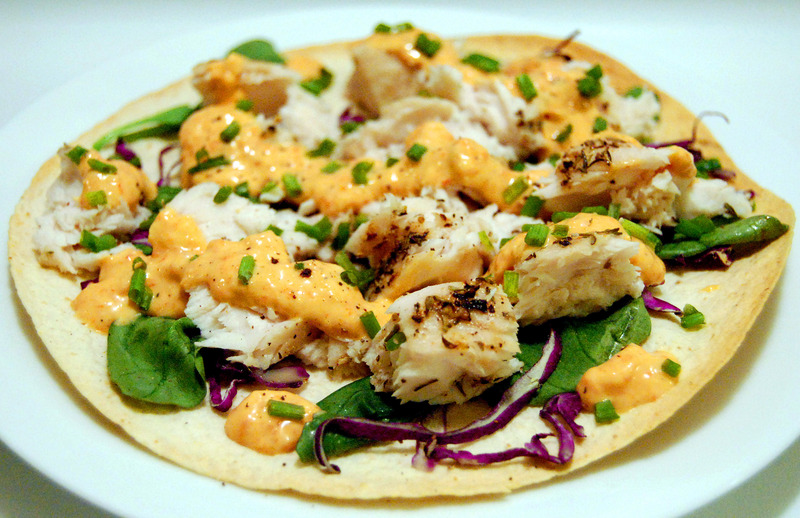 With that said, here is my tweaked version of my Mom’s Mahi Mahi Tostada recipe. Recently, I have been thinking about how great it would be to do catering. I have also been cooking for friends quite a bit, which I love. Both things involve cooking for a crowd, which can be hard to do. The more I do it, the more fun it gets. It is hard to think up original recipes for large groups sometimes, so I am really excited to share this one. This week I needed a meal to feed 14 friends. I didn’t want to do chili again, so I began to brainstorm and search the web. Casserole recipes are great for large groups and pizza is great for parties, which makes this pizza casserole the ultimate party dish. The original recipe that I found, form Country Kitchen Cooking, used pasta instead of breadsticks. Since I work at Noodles & Company, I decided against using the pasta. I think the breadsticks give it much more flavor. I made my green bean casserole to go with the meal and help my ski bum friends get some nutrients into their dinner. This spin off pizza is easier to make and won’t keep you in the kitchen for the entire party! I have an addiction to Mexican food, or any food similar to it, so I am always looking for new recipes so I am not eating the same thing again and again. I have made enchiladas before, but only with chicken. I also have attempted to make green chile before, but put an entire bag of extremely spicy chile peppers in the food and ruined the dish (I had to add an entire jar of tomato sauce, and entire bag of cheese, and milk to make it even semi-bearable!). 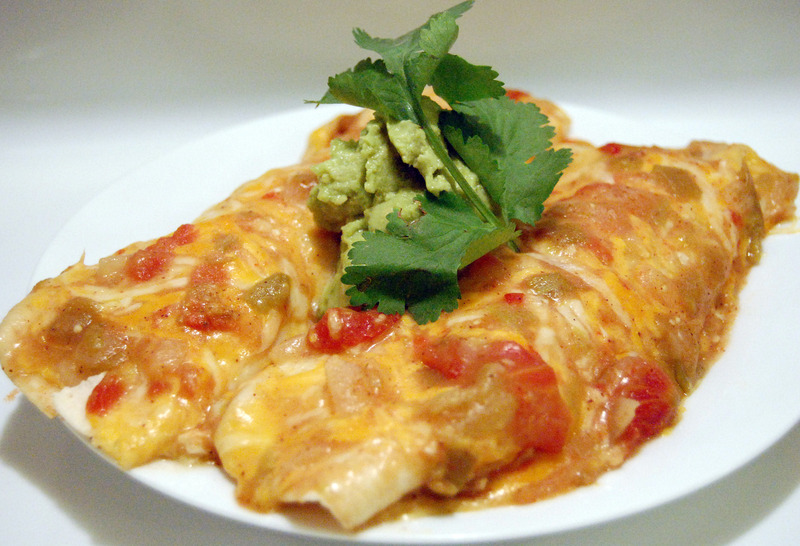 I can now say that I have found one of the best enchilada recipes and green chile recipes. Thanks to Drick’s Rambling Cafe for the enchilada recipe, which I tweaked a bit. I will definitely be keeping this recipe for future meals. I chose to slow cook the chicken so that I could easily shred it, plus it gives it much more flavor. You can cook the green chile with pork if you would like, but I felt that it wasn’t necessary with all of the meat in the enchiladas.